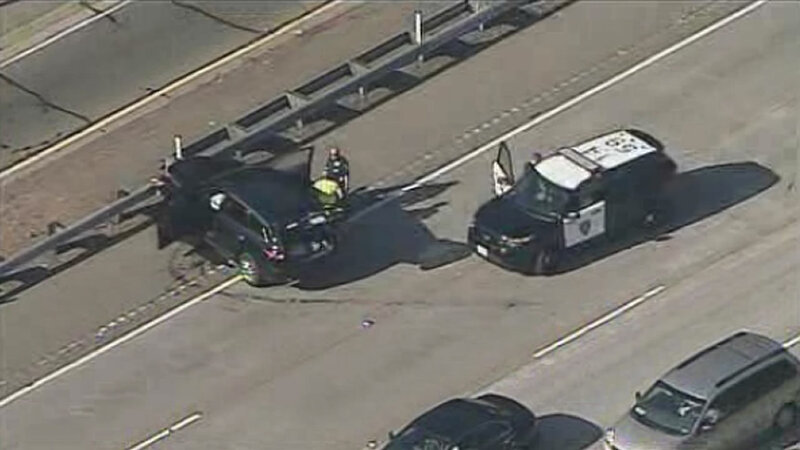 OAKLAND, Calif. (KGO) -- Two lanes of eastbound I-580 and the Golf Links Road/98th Avenue off ramp were closed in Oakland for over an hour on Monday evening, due to a police search. The road was reopened around 5:30 p.m. The road was closed after a suspect vehicle crashed and four armed robbery suspects fled from the car. Oakland police say they detained two suspects, but two suspects got away. Earlier, on the 500 block of 23rd Street there was a report of an armed robbery of multiple victims. Police were on the lookout for the suspects' car. After the crash, some of the victims' stolen items were been recovered. For a short time during the search nearby Bishop O'Dowd High School was on lockdown until they were given the all clear by police. The investigation is ongoing. Anyone with information is asked to contact the Oakland Police Department Robbery Unit at 510-238-3326.